My Sources for Old Malayalam Films. For a state that has brought about some of the major innovations, technical and aesthetic in Indian Cinema, the legacy that it leaves for its future generations is woefully short. Whether it stems from being blissfully unaware of the technological advances happening around, or for that matter giving scant regard for anything but immediate profit, I don’t know. I suspect that it is the latter and I believe it is criminal. How else can you justify the mushrooming supply of VCD’s ( Video Discs) of old titles of Malayalam films, as compared to restored and colour-corrected supply of DVD’s of the same titles in the market? For the life of me, I just cannot understand why the major copyright owners of the Malayalam film titles chose to release the movies on a storage media that became obsolete 5 years ago? Movies on a VCD! Jesus Christ. Will discuss about this criminal intent and the feasibility of technology soon, but this being the medium of availability, I am forced to source my films in VCD format ( mostly), and have collated the addresses and contact numbers from the videodiscs that I have and hope it would be of help for anyone who is interested in owning old Malayalam film titles. The biggest player in the segment nationally, it is said that they have more or less bought off most of the titles along with their rights from the significant players in Kerala. The online store is pitifully lacking in frequent updation and the refined search is a nightmare, but, guess one has to live with it till they decide to concentrate equally on their online store too. Their 3-in-1 combination DVD’s are NOT featured on the online store! Strange since there is a whole bunch of old B&W classics sandwiched between new titles and sold in these 3-in-1 combinations. My advice would be to check your popular neighborhood DVD store plus their online store for your favourites. You can purchase online at their store here. Update ( 10 Feb 2014) : The store, now re-branded as BoxOffice Boss is worthless and a nightmare in terms of navigation and engagement. 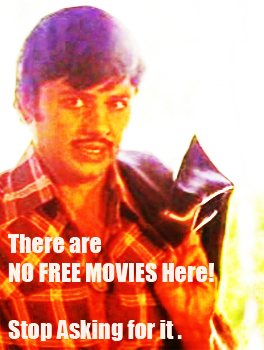 And no, you will hardly find any Malayalam film titles there. Best Avoided. By far the best, in service and in inventory. All latest titles are promptly updated and your call on their customer service number is actually responded by an actual human voice ! You can go through their online place here. Though I have had less than satisfying experiences with the place, it still comes heavily recommened. Maye it was bad hair day on both instances 🙂 . You can go through their online place here. The last time their website, www.harmonyvideos.com seems to have been updated was in 2004! Thankfully their offline production and distribution arm seems to be very robust. The main player in Kerala, leading the criminally insane VCD revolution. Phone : 0484 – 2783917, 2777917. An equal competitor in the VCD production, the story of their online site is a little more bizarre. Their site www.empirevideocd.com does not exist, though it has been proudly printed on all their title cards ! Phone : 0487 – 2384115. A relatively new player, with a slew of classics suddenly out, blissfully following the VCD pack herd, and mercifully don’t have an online place till now. 4. JT Audio & Video. A veritable storehouse of old B&W classics. If only they put some more effort in converting them to DVD’s. Seems to have an extensive catalog. Most of the B& W classics seems to be in their hands, incuding MT’s creations like Kuttyedethi. Contact : NAS Shopping Complex, Thriprayar, Thrissur. Have a surprisingly good collection of old B&W movies, though based out of Bangalore and essentially a Kannada audio & video label. Karnataka, India | Landmark : Near TownHall. I am sure there are a lot more out there, and it would be highly appreciated if you could share it here. Thanks. Previous PostAakashangalil Irikkum from Naadan Pennu (1967)Next PostNeelaponmane, Nellu (1974) and Geetashree Sandhya Mukherjee. can I get the dvd / vcd of Anjali (1977) and Kalithozhi (1971)? adimachangala, yudham, bhookambam.. premnazir movies ..available ? Hello I dont know Malayalam…But i am a diehard fan of good Malayalam classics.I have seen some good movies which were available as VHS prints(which has English subs embedded).But many movies dont have subs.Can you plesae post a list of DVD’s which come with subtitle do that i can buy them because these online sites dont mention exactly whether subs are available in the dvd’s or not..please post a list..
please suggest some list of old Horror Movies here. Themes with horror at the centre and peripheral of the story was there in the malayalam cinema right from the Black and White era. One sad information is that the print a few of these films are forever lost. However, let me tell the title of a few films in this category that i can recollect. From where can I get a VCD or DVD of 1954 Malayalam movie “Snehaseema”? This film was telecasted by Doordarshan in the late 80s or early 90s. However, i am not sure whether Asianet channels telecasted the film. Somebody who know the fact precisely can comment. Can I get Dhevadhoothan Malayalam Movie 2000 In Quality…? I want to share you sir…I wish to see old films of Prem Nazir, Jayan , Soman Sukumaran ….. and I want to see old film Manassinte Theerthayathra(Soman). I aslo want to hear old songs. Do you share me Sir? Lot many films are available in the market. The songs, you can search the U tube and get it. yudhabhoomi, vijayam nammude senani ennee films aarudeyenkilum kayyilundo? please share. shahul. EE CINEMAKALUDE DVD OR VCD OR VEDEO CASSETTE ARUDEYENKILUM KAYYIL UNDO? Mr.Nandan,Im also a great fan of old malayalam movies.Hope you can help me too. did you have Arikkari ammu malayalam movie ..
thangalude listil ulla films ellam rare anallo. dayavayi enikum share cheyyamo. please reply sir. Dear milan, please give me your contact detailes. I want to talk to you. Dear milan, please be kind to share some movies . i think, you are mentioning about VETTA mohan roop movie. that is not a suspense thriller. its a masala typical 1980 cinema where lal is villain having affair with his boss adoor bhasi’s wife. can you please specify me the role of JAYAN in komaram? i saw that film in your list. how long jayan is in that movie? veta mohanroop direct cheytha cinema thanneyanu. mammootty, mohanlal, heroin anjalinaidu. but ethil nalla oru paatundu. eeranmeghangal maanam moodunnu, kavithakal …………………..cinema direct cheythathu kuriyan varnasala. correct alle? Do anyone have the movies like Devi, Chayam, Enippadikal, Chukku, Theekkanal, Mappusakshi, Vilakkappettabandhangal,Vazhipizhachsandhadi, Karuthakai, NGO,Rosy, Susy, Chenda etc. Iam looking for the rest now. theekkanal is available in youtube. AMBIKA,SREEVIDYA and supporting caste.Will you share these 90 JAYAN movies with me.Kindly please also try to share movies of MADHU(1977-83) and more),SOMAN( mainly from 1977 to 1983),SUKUMARAN (1978 to 1984), JOSE ,RAVIKUMAR, KAMALHASAN(1976,77) and NAZEER.My mail id is http://www.madong22@gmail.com. Dear milan sir. Pls I wants to contact you. Pls give me your mobile number. kantavalayam is available in youtube. adimakkachavadam is available in youtube. AJAYANUM VIJAYANUM,OZHUKKINETHIRE. KANYYA DHANAM, MALLANUM MADEVANUM, VAZHI VILAKKU, PUSHPASHARAM, , CHENNAYA VALARTHIYA KUTTY, SEEMANTHA PUTRAN. KOTTARAM VILKANUNDU, PULIVALL, PRIYAMULLA SOFIA, ABHIMANAM, PADMA RAGAM. PATHIRAVUM PAKAL VELICHAVUM, TACHOLI MARUMAKAN CHANDHU. Your are doing a great job of sharing the oldies. I was looking for old movies 1. Kaattumallika 2. Kallipennu 3. Thilothama 4. Kalithozhan 5. Anarkali 6. Anna. Ee cinemakal engine kittum.Im a great fan of old malayalam movies.If you can please help me to get these old movies.Hope you will do needful. Please milan sir, ningalude kayyil ulla movies list enikku mail cheyyumo? my mail id pavithaikkadappuram@gmail.com. chattambi kalyani ente kayyil ella. CHATTAMBI KALYANI print rare alla… here in kerala many of us has got the print in the vcd or dvd format. Srikumaran thambi sir cheytha THIRUVONAM or AKSHAYAPATHRAM, ARIKKARI AMMU, CHUMADU THAANGI enninganeyulla movies aanenkil rare aanu… athu enne pole ulla 1980s beginning muthal video cassette collect cheyyunnavarude kayyil mathrame kaanukayullu.. I am searching for Chattambi Kalayani and Chumaduthangi. Can you give me copies of this films. In an interview given by Shri Sreekumaran Thampi to a TV channel he was telling that the only print which was available of movie thiruvonam has been lost as it has got wet. It is not available with anyone. dear friends youtubeil old movies nalla collection und. Marketeil kittatha movies kure und. Olangal enna sitelum kittum. night duty, brahmachari, sambhavami yuge yuge, aa chithra salabham parannotte enne cinemak aarude enkilum kayyil undo? Marketeil out of stock aanu, pls help me. enik athinte oro copy tharamo sir? Njan dubail aanu. Sir evideya ? So Pavithran saab and Faizal saab- here goes my list of movies I wish to get my hands on…. – there is a common thread in all these movies. the main character is a lawyer/ or judge. i want to see these movies as part of a project i have been working on for a long time- about portrayal of law, lawyers and legal system in Indian movies. Bhoomigeetham is important because it has the finest performance of jagathi as a lawyer. thank u Regi sir . Olangal siteil ninn down load cheyyan pattumo ? does anybody have film rosy or navalogam . Thank you for writing in and I hope you get to read this reply as I am not sure as to where this would land up looking at the random gibberish you have given as your e-mail address. The use of putting in a relevant e-mail address works in two ways, 1. If someone would like to pass on relevant information to you via a Reply on your Comment, you stand to lose that valuable input as the email address you have provided doesnot exist. 2. Even if you Subscribe to this Comment Stream, WordPress will still have no idea where to send the intimations of the new comments as the e-mail id doesnot exist. Eitherways, YOU stand to lose information.No e-mail address provided here is used for ANY purposes, so you can rest assured. This is a non-commercial, information sharing platform and unless you have clear channels that help flow of information, it becomes a useless exercise.Regarding School Master (1964), video clippings of its songs are there at Youtube. Why not contact its uploader for more details? Thanks, cinematters. nhan old malayalam cinema collect cheyyarundu. ee page adutha kalathanu kandathu. ethiloode oru paadu informations ariyan kazhinhu. you tuneloode kure paatukal kandu sir, chumaduthangi, chattambi kallyani, aseervadam, chukku, pripriyamvada, ullasayathra, athithi, mayiladumkunnu, abhimanam,, padmaragam, pushpasaram, ashtamirohini, kuttavum sikshayum,,parivarthanam, kaduvaya pidicha kiduva, enippadikal, etc. etc. ee films okke kanan kittumo,??? enikku kooduthal movies collect cheyyanam ennundu. sir enne sahayikkille……..
You Tube – ൽ താങ്കൾക്ക് ഇഷ്ടപ്പെട്ട പാട്ടുകൾ upload ചെയ്തിരിക്കുന്ന വീഡിയോ uploaders – അവരെ നേരിട്ട് ബന്ധപ്പെട്ടാൽ ഒരു പക്ഷെ അതിന്റെ മുഴുവൻ ചലച്ചിത്രവും കിട്ടുമായിരിക്കാം. ആ വഴി ശ്രമിച്ചു കൂടെ ? മാർക്കറ്റിൽ ഇറങ്ങിയിട്ടുള്ള ഒരു മാതിരി പെട്ട എല്ലാ ചലച്ചിത്രങ്ങളും (മലയാളം) Maebag.com, My India Shopping, Indulekha – ഇവിടെങ്ങളിൽ ലഭ്യമാണ്.അവിടെയും നോക്കുമല്ലോ. MANASAKSHI (1954),PANCHAJANYAM (1982) ORU THETTINTE KATHA (1984) and NEETHI (1971)??? Will you please send me the list of movies (1960-1980) with you. at the risk of repetition do you have JEEVIKKAN ANUVADIKKUKA (1967) LAKSHAPRABHU (1961) MANASAKSHI (1954),PANCHAJANYAM (1982) ORU THETTINTE KATHA (1984) and NEETHI (1971)??? thank you viju bhai for your comment.. almost all tv channels are now aware of this and ie the reason why there are plenty of scrolling advertisements when a film ios telecasted in channels.. especially those films whose commercial copy has not released.. so that the one who capture it for the purpose of releasing commercially (to earn revenue) cant do it easily )by simply cropping the size of video)..
please send gopalnavajeevan email id. I need a copy of Kannur deluxe.If anybody has please share. can anyone help me get this movie “Kalam marunnu ” release 1955 i need this movie for my mom, she acted in that movie as daughter of actor sathyan please help me. CM do you have Sudheer’s email.? hello1,please help me ….it is an urgent message.i want the movie ‘jeevitha nouka’ malayalam immidiatly…in any form .plzplzplz…help me …. commerical copies of jackpot and sammohanam!!! i dont think they are available now.. i have jackpot with me RAFA video cassette converted vcd. with fair quality. Could anyone help me find the movie “Ennu Swantham Janakikkutty” please….? Great to see that your collection is growing. Do any one have the VHS converted or even VHS version of movie Utharayanam by G.Aravindan (1975 ).I am in search of the movie for long.Please help me if any one having it…! i do have the asianet DVD copy of MARAVIL THIRIVU SOOKSHIKKUKA… and this, (if my knowledge is true) movie is all set to hit the market by this month end in VCD format..
i have divya darsanam.. asianet plus copy… may i help you?? sajith? CM? Really i need your help. What i can do is to compile the songs in a CD. Can it be in the mp3 format? But i need your help in the uploading part. Anyway it need some time. thanks CM… and mr. sajith you inform me when you need DIVYA DARSANAM.. I WILL GIVE YOU.. Thanks for your offer. But tell me how you are going to give it. Going through the comments, i came to know that Gopalji belongs to Thrissur. My place is Tiruvananthapuram. Can i get Gopalji’s email/address? do u have kannur deluxe ji…desperately searching for that.Please help ji. Please do you know where I can get a copy of ‘Ennu Swantham Janakikutty’. It was released by Kalpaka films and has been shown countless times on tv. But I am unable to find it in any of the shops or online. I find your website really helpful as I could get another movie I was madly searching for (Yakshi) in maEbag. I HAVE THAT MOVIE RECORDED FROM ASIANET..
CM .do u have Sajiths email? Large number of Old movies are available now. However, titles like Paticha Kallan, Veettu Mrugam, Arakkillam, Kaavalam Chundan, Tokkukal Katha Parayunnu, Penmakkal, Kanmanikal, Mayor Nair, Detective 909 Keralathil, Mister Kerala, Kayal Karayil, Pathirapaattu, Nishagandhi are lost. To my knowledge, these films were never telecasted in any of the channels. I remember that the video cassette of Manaswini was available. These films have some of the beautiful melodies. Anybody have any idea about these films? sajith do u have collection…… ? Yes. Of Course. I got a few films recorded in CD. But the VCDs that we get from the market are edited. For example, Ningalenne Communistakki released by harmony deleted two melodious songs – ellarum padathu (P Susheela) and Kothumbu vallam (Yesudas B Vasantha). Similarly two songs in the movie Panchavankadu released by harmony are deleted. The negatives of lot many films released are missing. You had seen a list i’ve posted earlier. I know that Doordarshan in the 80s telecasted Karuna, Vidyarthikale Ithile Ithile (Movie directed by John Abraham), Mayilaadum Kunnu, School Master, Puthri, Nilakkatha Chalanangal, Lakshaprabhu etc. But i dont know where the prints are now. Almost all films produced by Jayamaruti fils are available in the market. But i wonder why Kaduvaaye Pidicha Kiduva Priyamvada produced by Jayamaruti is missing. I am really happy to meet a person well versed in the subject of film archiving. A films produced by Udaya are telecasted and their VCD available in the market. But i dont know where films like Kadalamma, Susy, Inapravukal, Paavangal Pennungal, Kaattutulasi are. You got any idea? can i email u for a list? i have KADALAMMA (asianet copy) with me.. PAALAATU KOMAN (which i have been searching for more than a decade for atleast a VHS), KAATTU THULASI, INAPRAVUKAL and SUSY were telecasted only by doordarsan some 15 – 18 years ago.. sadly, i couldnt record those movies, i was hardly 8 years of age then.. I dont remember PAAVANGAL PENNUNGAL telecasted , but i do remember its VHS print that i saw during my childhood days.. i still remember the stories of all these films.. Thanks for your prompt reply. I was surprised to hear that Suzy and other films were telecasted. I have almost all the CDs released in the market. In addition, i have a good collection of the old song books, gramophone records, cassettes and audio CDs. I hope you know that 70% of the old songs released through gramophone/vinyl records are edited. Hence, songs recorded from original sound tracks are quite different from the songs that we get from market. For example, Vasanthathin makalallo mullavalli in the movie Vivahita is entirely different from the same song available in the record. In the movie version the song is sung by P Susheela and Yesudas and in the record version it was sung by P Madhuri and Yesudas. Same is the case of Priyasaghi Gange (Kumarasambhavam) Similarly Swargathekkaal (Dattuputran), Chandran udikkunnu dikkil(Othenante Makan), Ottu Vala Edukkan Marannu (Aadyathe Katha)Sarva Raajya Tozhilaalikale (Anubhavangal Paalichakal), Chandrakiranam Challicheduthoru (Devi), Chuvappu Kallu Mookkuthi (Panchavan Kadu), Kasthoori Vaka Poongaatte (Viplavakaarikal ) – to mention a few in the long list are different from the record version. You agree with my Point? OMC prides in yet another learned archivist passionately discussing malayalam film history. As usual, I am just sitting back and learning every bit from it, savoring it just the same 🙂 Thank you so much for sharing these nuggets. Why not have the ones that you have highlighted -digital files from the Vinyls and the cassette tapes, maybe a minute each be uploaded on your personal audio/video sharing site and we could have them put together as a compilation here with due credit to you. let me know. Thanks for the reply. As suggested by you to share the songs that i have, please let me know what i have to do? I shall try to do as you suggested. Please note that i need the assistance of somebody well versed in computers.Let me inform you that the files are audio. Also i would like to know whether this action will be an infringement of copy Right laws? I shall start compiling the different versions from my collections of CD, Cassettes and records. Anyway i need your guidance for uploading these files. You got the copy of Divyadarshanam? The song Karpoora deepathin Kaanthiyil in the movie is much longer than the record version. CHUZHI, KUPPIVALA, KASAVU THATTAM, KAYAMKULAM KOCHUNNIYUDE MAKAN, KADALPPALAM, MARAM, CHATTAMBI KALYANI, NEELAKKUYIL, SHANKHU PUSHPAM, KADALAMMA, THURAMUKHAM, PATHIRAVUM PAKAL VELICHAVUM, UMMACHU. uploading a clip, a miniscule portion of a movie or a an audio clip wouldnt violate copyright laws.Its protected by fair use law. however, if you plan to upload an entire movie for download purposes whether for commercial interest or not you would be committing a crime. I went through the various posts of Sajith…seems he and Sibi are the sole genuine lovers/ collectors of Malayalam cinema from Trivandrum. and of course, Gopalakrishnan has become a true friend, a saviour to me…and i guess to a lot others. some movies which i though i could never see in my lifetime, i got it through GK. Thanks for all. My venture will be complete to the maximum possible extent only after i meet the PRECIOUS GK. There is a song in the film Lottery Ticket sung by P. Leela – Oro Kanavilum – a sad song. This song is sung by Sheela in the film. This song is edited in the CD version of the film released both by T series and Saina. However, i still remember this song in the VHS edition. Anybody got the print of that movie having the song? Another area to open exchange of ideas is about the details of Malayalam films dubbed/remade from other languages and vice versa. The film Vazhvemayam was remade into Hindi as Aap Ki Kasam. Similarly i’ve heard that Chemmeen was remade into Hindi. The music of the Hindi version was scored by Salil Chowdhury. The Film Anurag in Hindi was remade to Malayalam as Ragam. S D Burman scored the music for Anurag and Ragam by Salil Chowdhury.The film Rest House was remade to Hindi as Jungle Ek Mangal. The Hindi version is close to the original Malayalam. Dil Ek Mandir of Hindi was remade to Hrudayam Oru Kshetram in malayalam. I Can any body add new information? When I said upload, I was talking about uploading photos of Prem Nazeer Anusmaranam and honoring Sreekumaran Thamby, at Kozhikode to be published here. here goes a list of malayalam movies inspired by other languages. NEETHIPEEDAM- starring Madhu was based on Alfred Hitchcok’s THE WRONG MAN and Victor Hugo’s LES MISERABLES. BANDHAM (starring Madhu and Lekshmi) was inspired from the Hindi movie SEETA AUR GEETHA. ITHA ORYU MANUSHYAN (starring Madhu) was remake of hindi movie AA MANUSH. JEEVITHAM (starrign Madhu, Rajkumar and Shankar)- remake of Hindi movie AVATAR featuring Rjesh Khanna. HRIDAYAM ORU KSHETRAM (starring Madhu, Raghavan and Sreevidya) was remade from Tamil movie NENJIL ORU AALAYAM. THEEKKANAL (Dir & starring Madhu) was based on the movie AMARDEEP starring Rajesh Kahnna, which also became a Tamil movie DWEEP starring Sivaji Ganesan. I am not sure whether the Hindi and Tamil versions were remakes of the Malayalam or vice-versa. SIMHAVALAN MENON is inspired by the 1979 movie GOLMAAL starring Amol Palekar and Utpal Dutt. the Jayaram- Biju Menonon movie CHITRASALABHAM (1998) is a direct remake of the Hrishikesh Mukherjee movie ANAND starring Rajesh Khanna and Amitabh Bachchan.PARAYANUM VAYYA PARAYTHIRIKKANUM VAYYA starring Mammootty, Mohanlala, Shankar and Sreenath is a remake of the 1975 Hindi movie FARAAR starring Amitabh Bachchan and Sanjeev Kumar. Shankar steps into the shoes of the Bachchan charachter; while Mammootty essays the role portrayed by Sanjeev Kumar. Menaka portrays the heroine in the Malayalam version; while Sharmila Tagore had been the heroine in the original movie. Malayalam cinema is now looking to the past in search of plots. It started with Neelataamara, Rathinirvedam, , Raasaleela, Chattakkari, Ina, avalude raavukal….. The theme of this set of films, i think, are more or less same. Shortly we will be hearing the announcement of Itha Ivide Vare, Punarjanmam, alinganam, aa Nimisham, Chayam etc recreated. However, i doubt whether they can recreate the melodious songs in the older versions of these films? Is it possible to remake Chemmeen, Bhargavi Nilayam or Anubhavagal Paalichakal without loosing the rich cinematic skill applied by the great film makers in the older versions? There are a few films missing – Yudhakaandam, Teekkanal, Chukku, Karutha Pournami, aval etc. Lets hope that these films also will find place in the forthcoming remake versions. On top of the page, there is a poster of an old Malayalam cinema. I believe that it is from the song book of the movie, Line Bus, produced by MS Productions. From my collection of the old song books, can i upload a few? How can i do it? The song book contains the list of actors, details of other technicians, story of the film ( without the description of last scene) and the songs. The song book of Kumarasambhavam even disclose the Raga in which the songs are composed. Another interesting information regarding this subject is that the song book of Drikshakshi starring K P Ummer, Sujatha and Vincent looks like a Gramaphone Record! The song books released by Manjilas are all similar in size – devi, adimakal, makkal, vazhvemayam, aranazhikaneram etc. Anybody got additional information about song books? Kavalam chundan was telecasted in doordarsan tvm, some 18-20 years ago.. the once existed ASIANET GLOBAL channel had telecasted some of these films (veettumrigam, paticha kallan, kayalkarail etc) atleast one time each..
Its interesting to hear from you that patichakallan, veettumrugam, Kaayal Karayil and kaavaalam chundan. But do they have the digital version of these films? Great to hear from you this information. Thanks. Does any one have the following films? Does maebag requrie a credit card for purchase? or is it VPP? Their ICICI bank account number is given. You can deposit the required amount with it and follow it up with maebag over telephone. I followed this process for getting few old malayalam CDs from them and it worked satisfactorily. MD…do you have a collection too? No Sibi, I am presently based at Bhopal in M.P. you can get some old movies from my collection mr. sibi.. The VCDs I have got include Eranakulam Junction, Danger Biscuit, Cochin Express, Ratri Vandi, Sambhavami Yuge Yuge, Kaalachakram, Velluvili, Padmatheertham, Kalpavriksham, Sindhu, Shastram Jayichu Manushyan Thottu, Maru Nattil Oru Malayali, Cheenavala, Bhoomi Devi Pushpiniyayi, Aaraadhika and DVD – Chemmeen, Lankadahanam, Postmane Kananilla. you are always welcome mr sibi..
Hello sir I am a great fan of old Malayalam cinema please tell me your mail id to contact you sir..
cine matters… have you got any idea about the availability og PAZHASSIRAJA (old), PALATTU KOMAN, KUNJALI MARAKKAR, KOTTARAM VILKKANUNDU etc. only doordarshan has telecasted all these so far (also THE ONCE EXISTED GOLDEN TELEVISION CHANNEL FOR OLD MALAYALAM MOVIES, “ASIANET GLOBAL” ALSO TELECASTED THESE.) surely the above mentioned vcd/dvd companies do not have these films or even its prints. any idea abt personal collections? How do I get in touch with Mr.Gopalkrishnan? I am also an old fan of Prem Nazir movies though I started collecting VCDs of old movies only recently. You can buy some of the CID movie collections through online from myindiashopping.com. I have purchased the following detective movies from them. Love in Kerala, Lankadahanam, Postmane Kanmanilla, Ernakulam Junction, Danger Biscuit, Ratri Vandi (hero – Vincent) . The other movies I purchased through them were Marunattil oru Malayali, Bharyamaar Sookshikkuka, Shastram Jayichu Manushyan Thottu, Achchani. Some of the other CDs I have bought through Maebag.com. The services of myindiashopping.com are also very good and they have a huge collection too. A very interesting and dedicated site. I am a fan of Prem Nasir detective / crime films e.g. Rest House, Lanka Dahanam, Love in Kerala, Kannur Deluxe etc. Is there an exhaustive list? Are they all out on VCD / DVD? I have a good collection but I need to ensure everything is completed. Can you share with me the old collections you have got? thanks! Praskash sir, have Ernakulam Junction VCD and Rest house DVD converted from VHS . Picnic in DVD FORMAT.. I dont have Kannoor Deluxe with me. Neither I have seen this movie. If you could provide the same…..great! Yes please provide ur email address and contact number. Hai Mr.Gopal, pleased to note that most of the movies which I desired to have, are available with you. Please let me know how to contact you or how to get those for me. thanks,. 1. Ayalathe Sundari 2. Mayiladumkunnu 3.Padmavyooham 4.Chukku 5.Taaxi Car 6. Kottaram Vilkkanundu ..
VHS means video cassette.. many people still believe that they will get DVD copies of old malayalam rare films.. fact is that only VIDEO CASSETTES are the source for getting old movies ( i mean except the television channel telecasting films, even the commercial copies of old films releasing in markets are all TV channel copies or prints ) you wont get a DVD (both commercial or TV channel copy) of KOTTARAM VILKKANUNDU or THIRUVABHARANAM or ABHIMANAM or CHATTAMBI KALYANI or such movies… the once existed video cassettes are the only hope.. and even those video cassettes are not available now.. almost all video shop owners destroyed their video cassettes once the VCDs and DVDs took the place in the market.. I Want Oldflim For premnazer Pls Send List Of Prem Nazer Films PLs Sending To My Email id. this is rochni. i am a BIG mallu movie fan! but essentially the sathyan anthikad-sibi malayil-fazil type movies. The golden malayalam movie period of 1987-1993 is what i m crazy about!!! have been trying to procure some titles for the loooooongest time now but none of them r available!??! Tried real hard, close to giving up now. Cud u please be my last shot & help me with where i cud find these movies? these r some of the movies i have been searching high & low but no luck! Cud u pls lemme know how i cud get my hands on them? Thank you for passing through. Most of the titles that you mentioned are locally available, save for Chakkikkotha Chankaran and Meenathil Thalikettu. Sadly most of them are marketed as VCDs which I think is a criminal denial of quality, but then again one has to put up with it till someone more sensible enters the market. Also, depending on your location, most of the titles can be bought online too. Let me know your options and I guess would be able to suggest the most practical one from that..:). Happy viewing.